I believe we must first look inward before he can truly see outward. I liked using Vader in this because we all know how his story ends. How even the most powerful of people can still be chained to an idea of what they think they have to be. In the end, despite the weight of his regret, he still found the courage to grasp redemption. 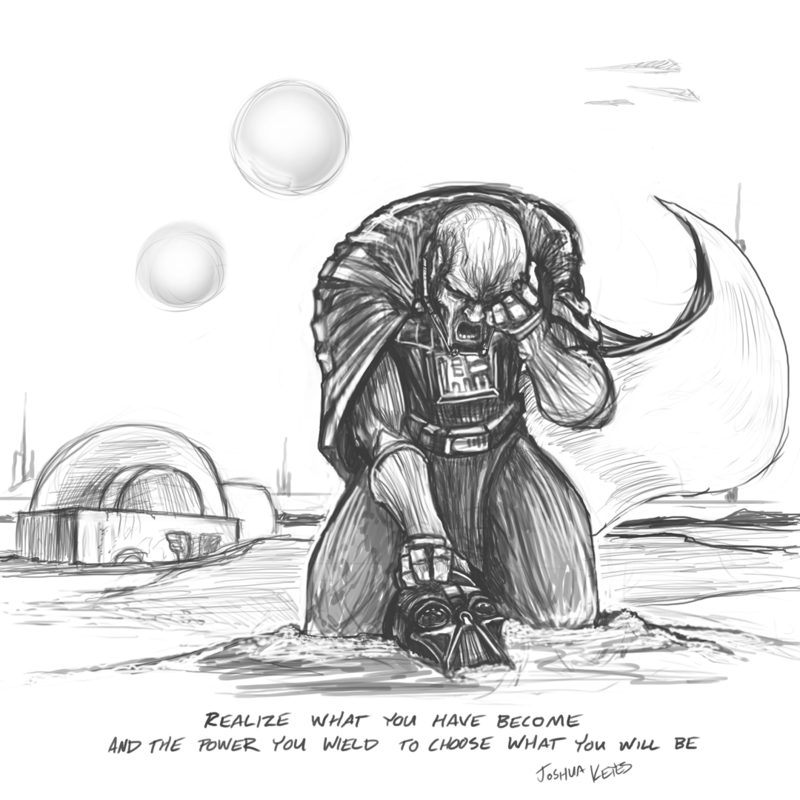 This entry was posted in Sketchbook, Sketchbook Digital, Sketchbook Therapy and tagged Darth Vader, fanart, Illustration, Sketchbook Therapy, Speed Painting. Bookmark the permalink.